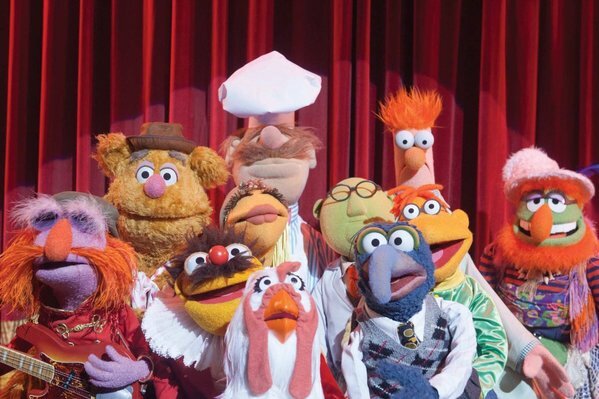 Pencils Down, Pass the Remote: Can the Muppets host the Oscars? Can the Muppets host the Oscars? Now that Brett Ratner has left his post as the producer of the 2011 Academy Awards as a result of his generally Ratner-esque behavior, the show is in the market for a new host. (Previously announced host Eddie Murphy dropped out after Ratner's resignation.) And a new group of candidates have thrown their hats into the newly empty ring. These candidates, like Murphy, have been out of the spotlight for many years and, also like Murphy, are poised for a comeback in the wake of a new movie. Unlike Murphy, tey are made of felt. That's right; a Facebook campaign called The Muppets Should Host the 2011 Oscars has sprung to argue that, well, the Muppets should host the 2011 Oscars. How likely this movement is to succeed is questionable - other hypothetical candidates include Tom Hanks and Steve Martin, and having the Muppets as hosts would probably be technically difficult to coordinate - but I would be very excited if this development were to occur. And someone else would too. Update: Billy Crystal just announced via Twitter that he will be hosting the 2012 Oscars. While the LA Times noted, fairly hilariously, that the tweet in question was "construed [by some] as a joke," it appears this is actually happening. While Crystal is a solid, funny awards-show host, I'm a little disappointed that the Muppets were taken out of the running so early. "Unlike Murphy, they are made of felt." Hee. You forgot "Unlike Murphy, they are hilarious and talented." Eddie Murphy used to be hilarious, and remains talented when he feels like it. Watch "Dreamgirls" if you don't believe me.